Companies are increasingly turning to IoT deployment despite the security concerns that leave many implementations vulnerable to attack. 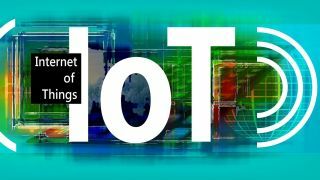 Those are the findings of a new survey from Cradlepoint, which found that two out of five companies have serious concerns about security, even though 69% of those surveyed are already rolling out IoT. The findings are contained in the Cradlepoint Business Intelligence Report, which looks at how IoT technology is having an impact on various industries. The most worrying trend that the survey found was that 71% of companies surveyed said they were using IoT to enhance security, that’s to say, using the technology for the same devices that would be vulnerable for an attack, like the Mirai botnet, that crippled so many systems in 2016. The report explains that companies should be prepared to have a thorough overhaul of its infrastructure before deploying the technology. “An organization that hasn’t already prioritized modernizing its infrastructure and evaluating security solutions are even further behind on IoT than it may realize. Similarly, those IT teams currently undertaking infrastructure and security initiatives should plan with future IoT initiatives in mind; failure to do so could quickly render newly adopted infrastructure and security solutions obsolete.